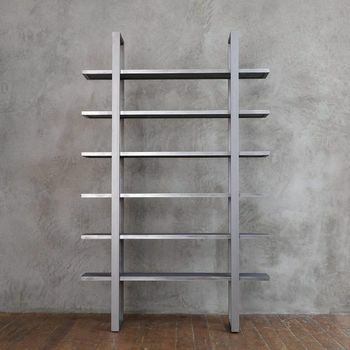 Striking in its angularity, this unit combines the beauty of natural solid wood and the elegance of mild steel. 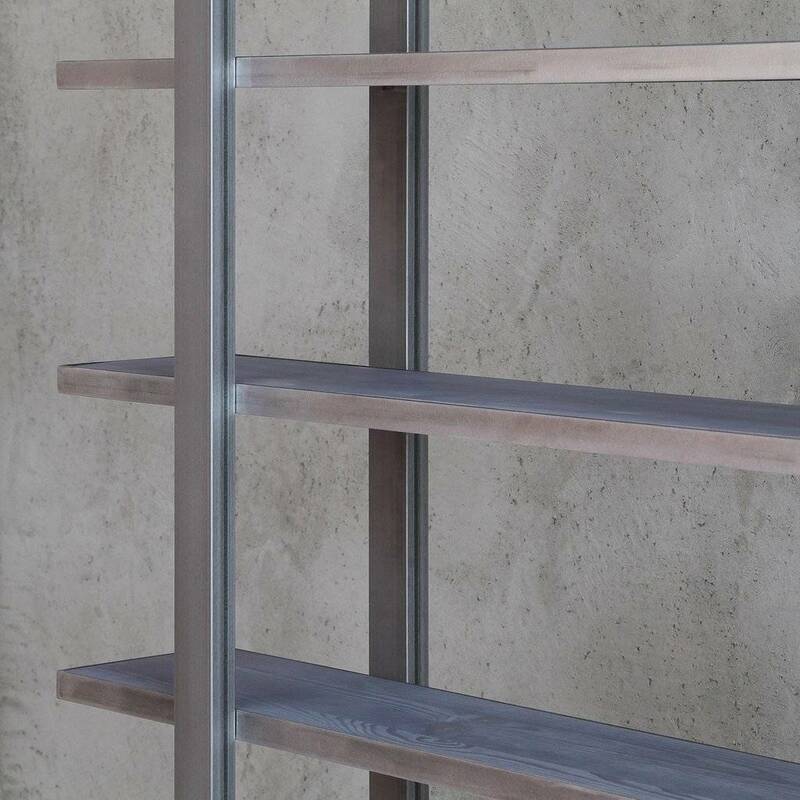 With its greyish finishing color, clean lines and metal frame, enforcing each shelf, the unit can be trully considered the embodimend of the Industrial age, and will look perfectly in your house, loft or office. 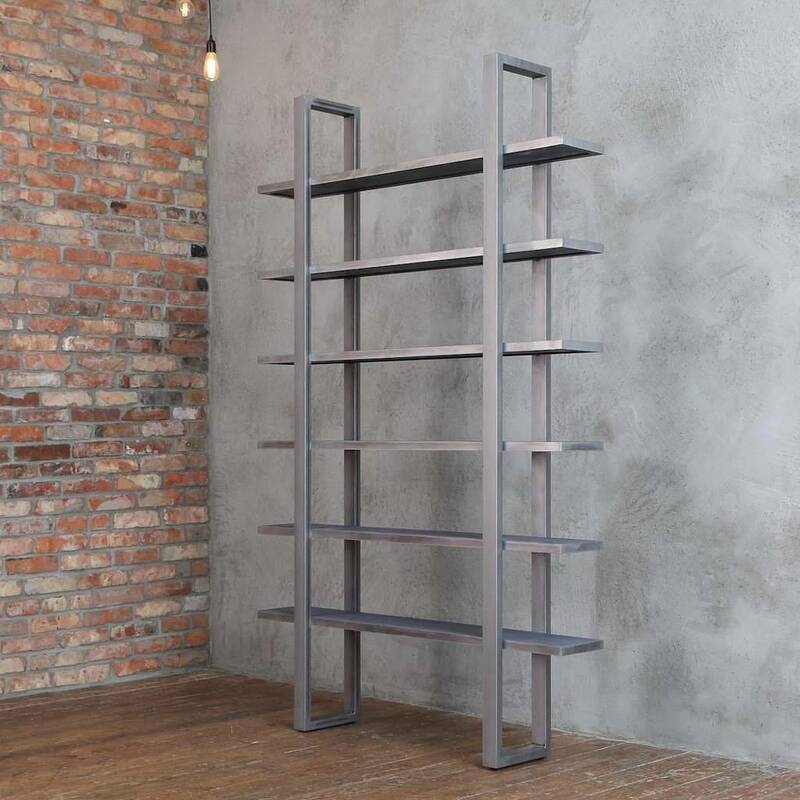 The unit is handmade; the shelving part is crafted of Eastern European reclaimed pine, and hand finished to highlight its warmth and rich grain. 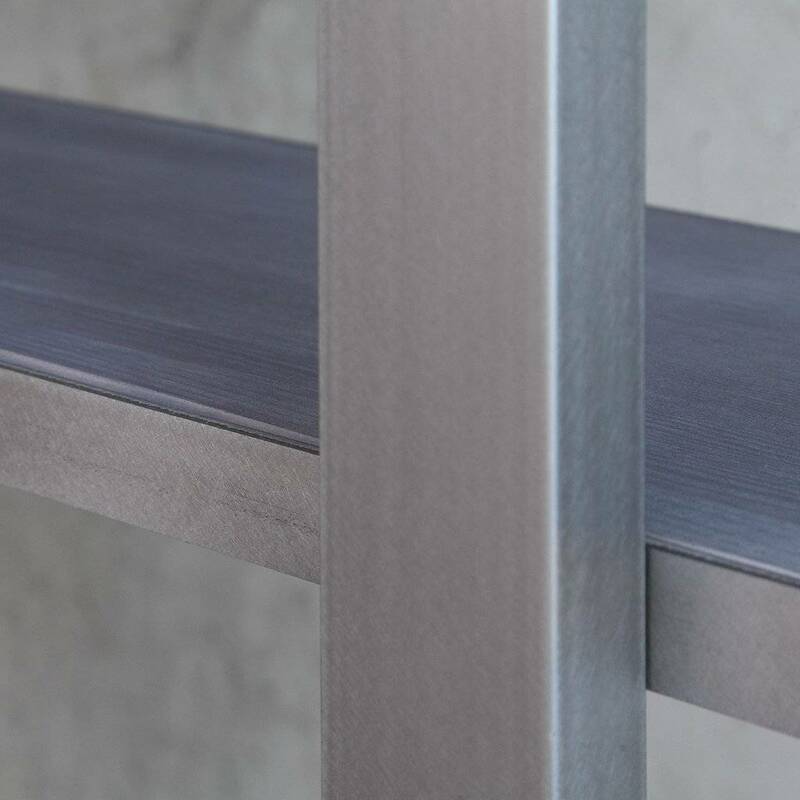 It is very robust, and can hold a good amount of weight. 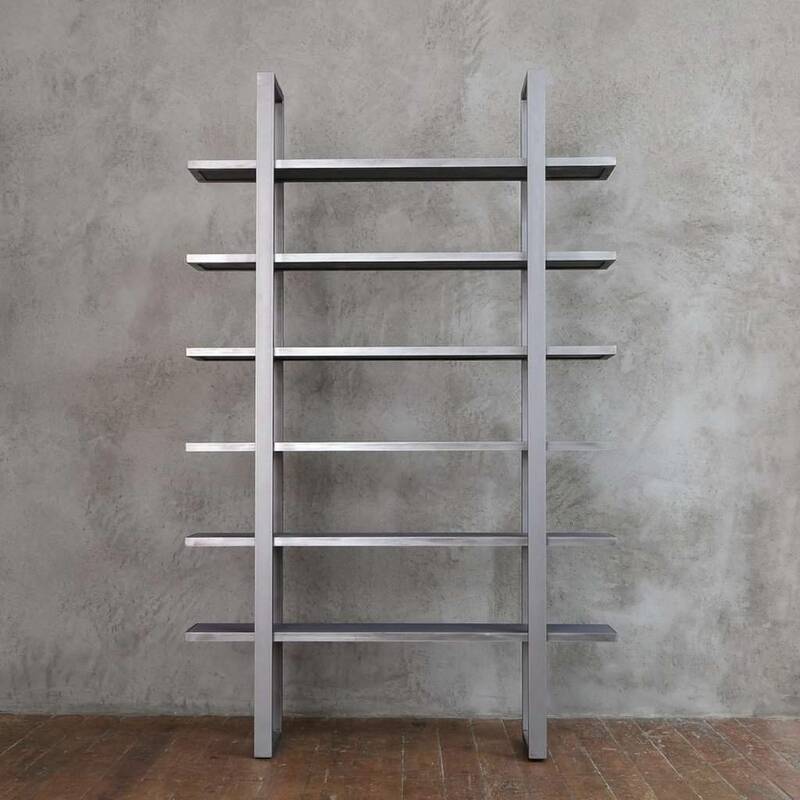 The shelving unit can be customized and is available with 5 or 6 shelves, and with the dimentions and finishing color of your preference.